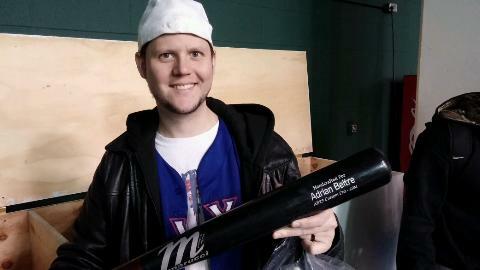 Adrian Beltre | One Strike Away...Twice! Several stories have appeared nationally suggesting it’s time for Jon Daniels to bite the bullet and tear down the Texas Rangers in order to build them up again. Nobody is more forthright and insistent on this than MLB Network’s Jim Bowden, himself a former GM. Overall, the mantra of these national scribes is: the Rangers are going nowhere this year, so why not get what you can for the pieces you can get a return on. This is often brought up at the same time as speculation that the Rangers are after Cole Hamels to provide them with an ace while Yu Darvish is out for the season. Not a single game has been played in the 2015 regular season, yet already the Rangers are given up for dead. I’m here to tell you, now is NOT the time to tear down the Texas Rangers. In fact, now is a great time for Daniels to stand pat and play the hand he’s been dealt for 2015. Here’s three reasons why. Along with his insistence that now is the time to trade Adrian Beltre, Bowden ties it together with the call for Rangers uber-prospect Joey Gallo to start his major league career as the new Rangers third baseman. Why someone who’s worked at the top of the MLB food chain would suggest this is puzzling. For all his prodigious power potential, Gallo isn’t ready for the majors yet. He’s only had about 250 at bats at the AA level and he struck out almost 120 times in those at bats. A K% like that does not spell “Big League Ready” in anybody’s book but Bowden’s. 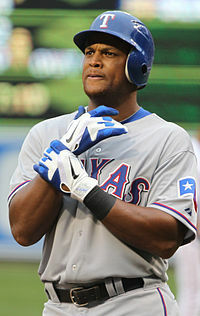 So, if the Rangers traded Beltre, who plays third base? Nobody of any consequence. And if you’re using Beltre as a chip to acquire Hamels, the Phillies aren’t going to throw in a big league third baseman as well. 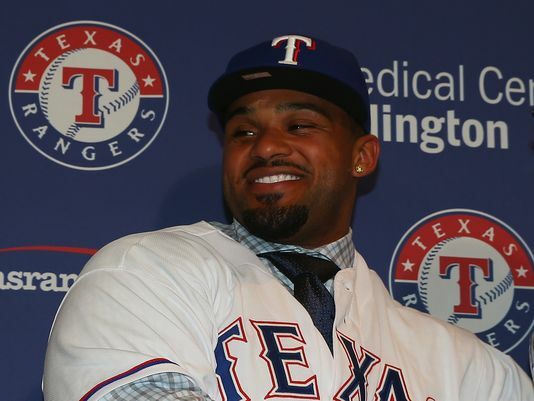 Outside of Beltre, the three biggest Rangers contracts belong to Prince Fielder, Shin-Soo Choo and Elvis Andrus. Fielder and Choo are coming off injury-plagued years and Andrus had arguably the worst season of his career in 2014. In other words, their trade value is at the lowest it could possibly be. The Rangers would get very little return in players. Maybe a little salary relief, but not much in players. Derek Holland might fetch a decent return but Texas isn’t about to part with one of their best pitchers when putting together a decent rotation is the key towards reaching the post-season. 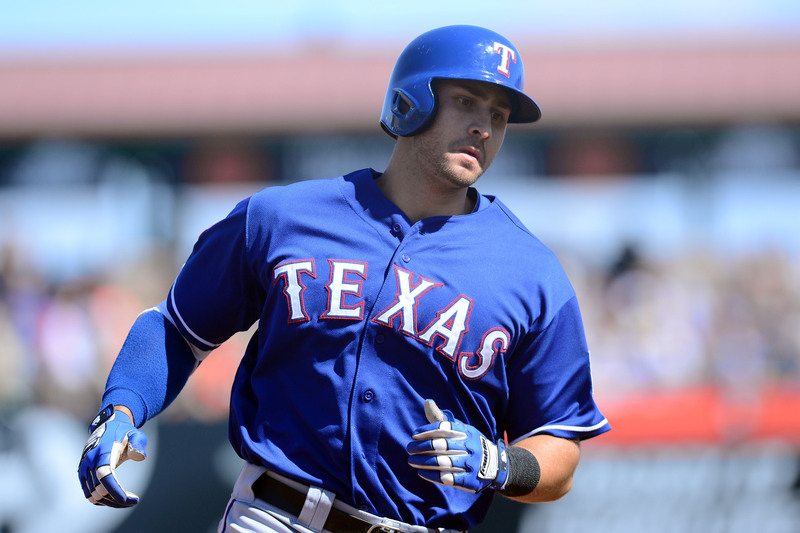 Joey Gallo isn’t ready this year, but he probably will next year. Also ready in the next year or so will be catcher Jorge Alfaro and pitcher Chi Chi Gonzalez, who nearly made the club THIS year. Martin Perez is coming back from Tommy John surgery this year, Darvish will be back next year. 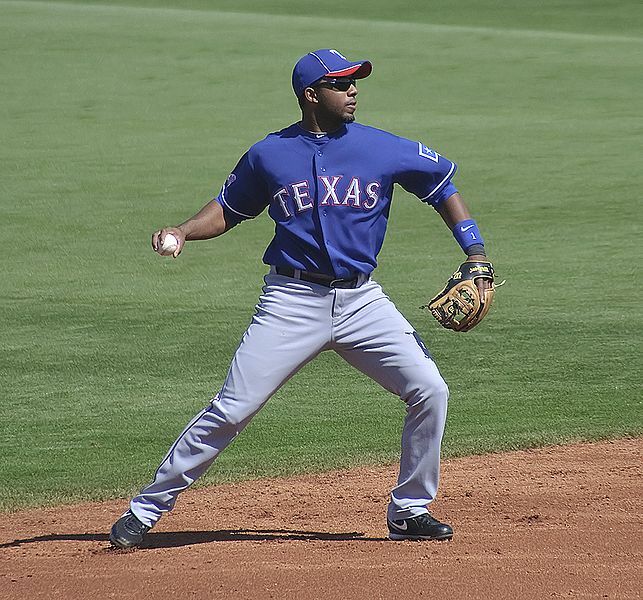 Heck, we might even put Jurickson Profar back in the mix, who could be back next year as well. The point here is, while this year’s Rangers may not make the playoffs (and I think they’ll be better than a last place team), the 2016 Rangers could feature Gallo and Alfaro as rookies. If they become the big leaguers scouts think they will, the 2017 Rangers will have one of the most potent offenses in the AL with Gallo, Alfaro and Rougned Odor, even if Fielder has aged into a 20 HR hitting DH. Meanwhile, the starting rotation will feature Darvish, Holland, Perez and Gonzalez. Not every prospect pans out but there’s every reason to believe the ones who are just a year away from Arlington are going to be special. Break up the Rangers? Even if this season is a rough one, there’s enough on the horizon to stand pat. The window may be opening again soon. One week from Opening Day and the Opening Day roster is starting to take shape for the Texas Rangers. Gone are non-roster veterans Ryan Ludwick and Nate Shierholtz. Nick Tepesch and Anthony Ranaudo will not appear in the starting rotation. At this point, only the utility infield position is available on the offensive side and three bullpen slots are open. The only minor surprise here is DeShields making the team as the 5th outfielder. A Rule 5 pick who’s never played above Double A, DeShields’ speed ended up being the deciding factor that sent the more powerful Ludwick and Shierholtz to pondering what to do next with their careers. The only remaining offensive position open is utility infielder. Adam Rosales is still the favorite to get that slot. He’s had a good camp and was a good complementary piece a year ago. 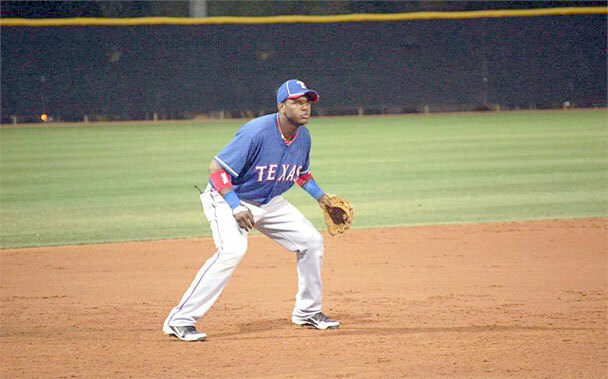 Yet there are still 4 utility infield candidates still in camp: Rosales, Ed Lucas, Elliot Johnson and Tommy Field. Field has been a slight surprise. The former Texas State athlete has played in just about every game in spring training and shown some pop with two home runs. Field has had a couple of cups of coffee in the bigs with Colorado and the LA Angels, but got released by both the Angels and the Pirates last year. I still don’t think Field makes the club but will instead be the starting second baseman at AAA Round Rock. I do think if Rougned Odor has a sophomore slump that Field would become a consideration as a starting replacement instead of Rosales, who would stay in a utility role. Lucas and Johnson? They’ll probably be released and signed just before Opening Day by another club. Martinez won the 5th starter slot on the basis of a strong spring 0.84 ERA, capped off by six scoreless innings in his last start. He ended 2014 strong and came out firing bullets in ’15. Tepesch, who also spent most of last season in Texas, showed the same tendencies that have dogged him in his career thus far. Great the first time through the order, considerably more hittable the second and third times through. He still has a shot at making the team in long relief, where he’d only need to face a line-up one time through. Freeman is a southpaw just picked up from the Cardinals. Before his acquisition, rookie Alex Claudio was the only lefty remaining in camp and he was starting to have troubles against left-handed batters in games. Freeman has a few years in the bigs under his belt and has a bullpen slot even though he just joined the team. As for the other three slots? It’s anyone’s guess. A good case can be made for rookie Keone Kela, who has yet to give up a run in 8.1 innings this spring. He’s allowed only two hits and struck out 10. Other candidates are Tepesch (10.38) ERA, Jon Edwards (1.69, 17 K’s in 10.2 IP), Phil Klein (9.00 ERA), Kyuji Fujikawa (1.35 ERA), Lisalverto Bonilla (9.00 ERA) and Anthony Bass (9.00 ERA). 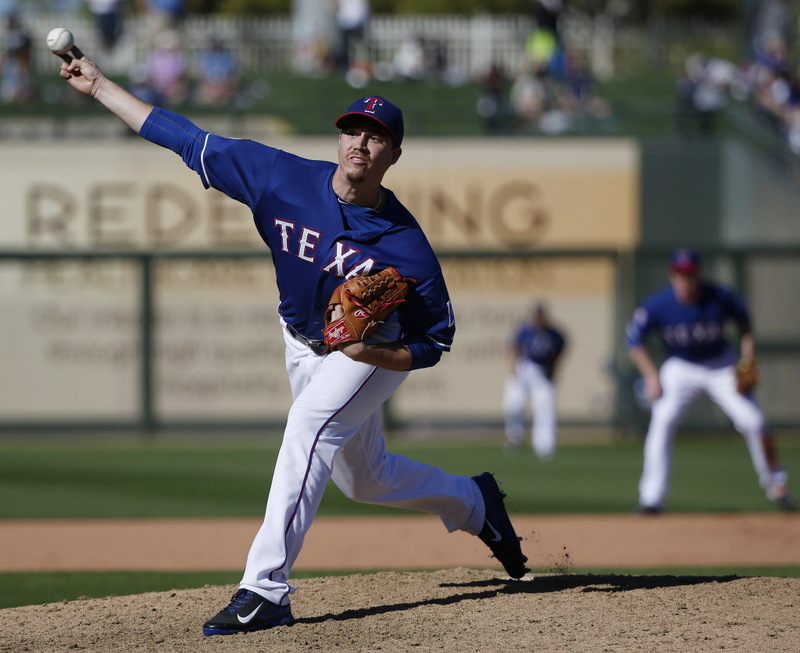 Ross Ohlendorf (0.00 ERA, 1 hit and 11 K’s in 5.1 IP) will have a role with the Rangers, but minor injuries will keep him off the active roster Opening Day. Rangers brass hope he’ll be ready by May. The bullpen doesn’t sound very impressive, but most teams don’t know how good their bullpen truly is for at least the first third of the season. You can also bet at least one waiver claim will bring someone new to the roster and at least one other slot becomes interchangeable with a shuttle going back and forth from Arlington to Round Rock. Seven days left to Opening Day. It can’t get here soon enough. That’s kind of the feeling as it applied to Leonys Martin for the Texas Rangers. No, he didn’t put up MVP type numbers, He didn’t lead the league in hitting. It was just a pleasant surprise that he was about the only Rangers regular who WASN’T injured in 2014. As a result, the Cuban immigrant played in 155 of a possible 162 games and posted a .277/.325/.364 slash line with 7 home runs and 40 RBI. He added a team leading 31 steals, 17 bunt singles in 29 attempts and was second to Adrian Beltre in runs scored. While it was a decent enough offensive year, defense is where Martin shines. Blessed with a cannon for an arm, Leonys got credit for 11 outfield assists and assisted on three double plays. He threw out eight runners at home. His arm was so respected that of the 22 times a fly ball was hit to him with a runner on third and less than two outs, the runner stayed on third 7 times. With a runner on second and less than two outs, the runners stayed put 22 out of 40 times. The American League is well aware of the strong, accurate arm of Leonys Martin. Thanks to that defense, Martin compiled a 4.6 WAR by Baseball-Reference, a 3.5 WAR by Fangraphs. Both were second among Rangers offensive players to Adrian Beltre. So yes, 2014 was a pretty good year for the almost 27-year-old outfielder, especially considering he was also dealing with the trial of a man who essentially kidnapped him in Mexico after he defected from Cuba. This year, pretty good needs to be even better. There’s a lot of pressure on Leonys, more pressure than he’s ever had. This year, he won’t bat near the bottom of the order as he has in the past. This year, Leonys Martin is the Rangers’ lead-off hitter. To thrive in that role, Martin is going to have to do two things: improve his walk rate and cut down on his strikeout rate. A decent lead-off hitter should have an OBP of around .345. Martin a year ago was at .325. His walk percentage was 6.7% and he struck out 19.6% of the time. By contrast, Coco Crisp of the A’s walked 11.8% and struck out only 12.4% of the time. Better contact, better understanding of the strike zone, cut down on the caught stealing (he got nailed 12 times in 2014), all while continuing to play superior defense. That’s what the Rangers need Martin to accomplish this year. GM Jon Daniels doesn’t believe Leonys has reached his ceiling yet as a player. I’m not convinced he’ll be able to top last year’s offensive output. Besides the walk and strikeout rates, he needs to improve his numbers against southpaws. While he hit a respectable enough .250 against lefties, his OBP was only .287 and his Slugging Percentage .294, compared to .337 and .388 respectively against righthanders. If Martin maintains the same WAR in 2015 as he did in 2014, it’s a sign he and the team did okay in 2015. 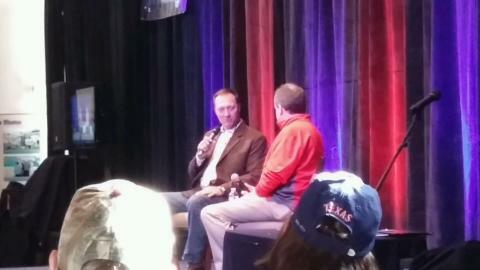 I recently relocated from the Rio Grande Valley to the Austin area, so naturally when I had the chance, I somehow managed to bypass going to the Rangers’ Winter Caravan stop in Round Rock, just a 45 minute drive away. Instead, I chose to make the 3 hour plus drive to Arlington to attend the annual Rangers Fan Fest with my son, who lives in the area. This was my second Fan Fest, having attended the 2011 gathering at the Arlington Convention Center just three months after the Rangers’ first ever World Series appearance. Fan Fest has gotten so big now that the Rangers have moved it to Globe Life Park, opening up the entire stadium to the fans. 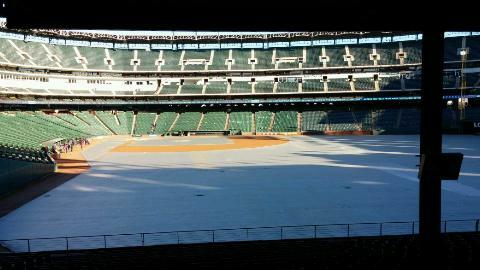 Looking up to the top of Globe Life Park. There were plenty of other autograph opportunities but they weren’t announced until just a few minutes before the session. 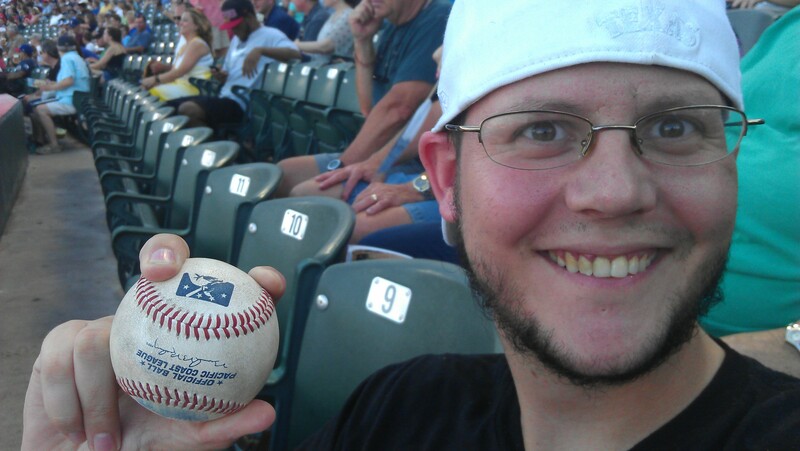 I was originally in a line to get autographs from Rangers prospects Chi Chi Gonzalez and Spencer Patton but then saw an announcement that propelled me to leave my current location and go halfway around the ballpark (sorry Chi Chi and Spencer!). 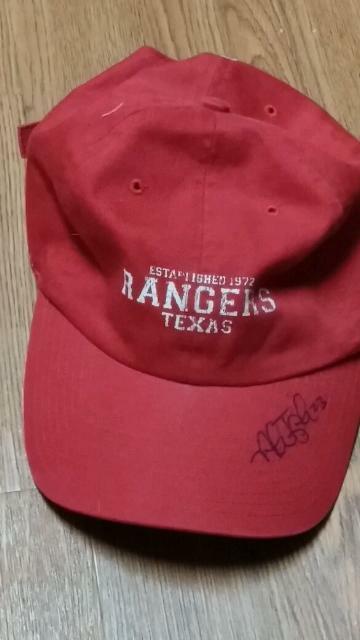 Thus I was fortunate enough to get Nick Tepesch to sign my Rangers cap and Matt Harrison to ink my 2010 AL Champions T-shirt. 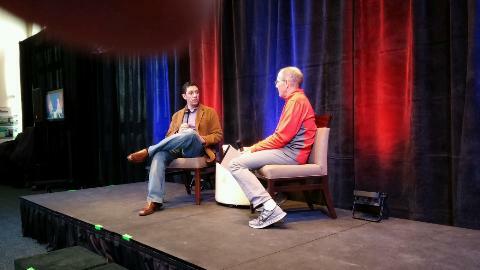 Then it was on to a Q&A session with Rangers GM Jon Daniels. It was still early so I got a front row seat and even got to ask him a couple of questions. First one: How many calls and texts does it take to complete a trade such as the one that netted the Rangers Yovani Gallardo from the Brewers? Answer: Sometimes just a few, sometimes a lot. Gallardo was just a few… and Daniels says Brewers GM Doug Melvin doesn’t text much, he prefers talking directly to people. Second question: With hundreds of players in the minor league system, how do the Rangers communicate with them? Is there an employee newsletter or something? Answer: Not really. The managers, coaches and scouts grade every player in every game and share the info with each other but the players usually only know what’s really going on by following each other on social media to find out who’s moving up, getting traded, released, etc. Interesting tidbit: No matter how many people are in the room, Daniels looks the person who asked the question in the eye throughout his answer. Impressive! Rangers GM Jon Daniels with Rangers announcer/former GM/former player Tom Grieve. It was good to get to Fan Fest early because after a couple of hours, it became clear to us there would be no other autographs to get. At 11:30 more than 200 people were in line at one location for a 2 pm autograph session and the same held true at all the autograph locations. Thus we decided to walk around and see the other sites. The home clubhouse was open but the line was too long. There was no waiting to get to the hitting cages, though. 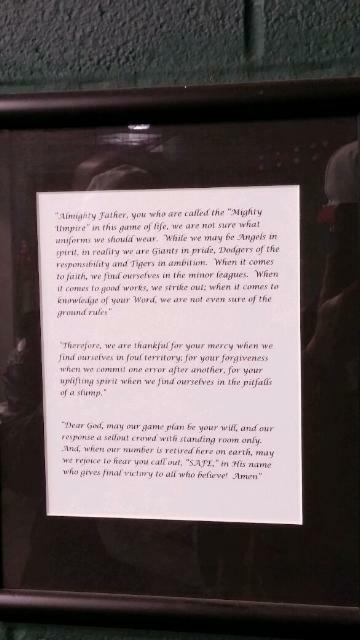 There we saw this “Hitter’s Prayer” on the wall and a couple of cracked batting practice bats, including this custom Adrian Beltre model. 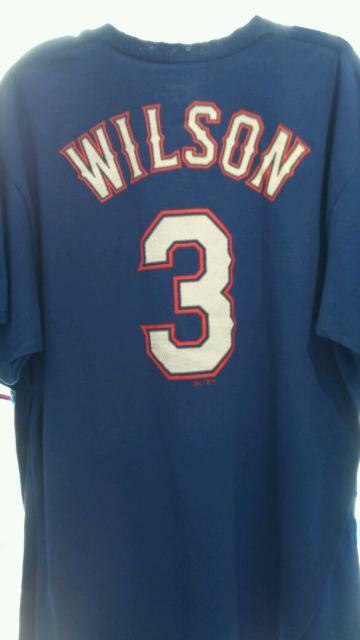 In the gift shop, we noticed then Rangers still have shirts for one of their minor league players who likely will never face major league pitching, or minor league pitching for that matter: current Seattle Seahawks quarterback Russell Wilson. Russell Wilson has a future with the Rangers if he ever decides to give up his day job. Strangest sight of all: I’m used to seeing tarp over the infield grass and dirt during a rain delay but, due to the mid-30’s early morning weather, I don’t think I’d ever seen tarp over ALL of the grass on the field! That’s a lot of tarp! Now the only bad thing is there’s still over two months to go before the Season Opener. Thanks to Fan Fest, I’m ready NOW! 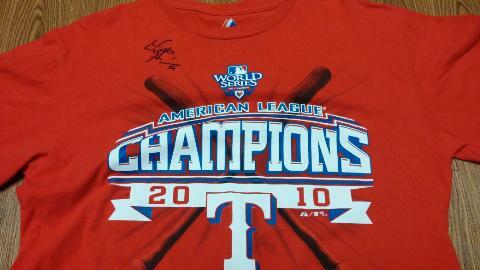 I started this blog in 2010, the year the Rangers first went to the World Series. The original name of the blog was “The Futility Ends Here”. After about a week, I knew it wasn’t a very catchy title so I changed it to “World Series 40 Rangers Fan 0”. Much better. And it made it sweet when the season ended with the Rangers going to the World series for the first time in my then 40 years of Rangers fandom. 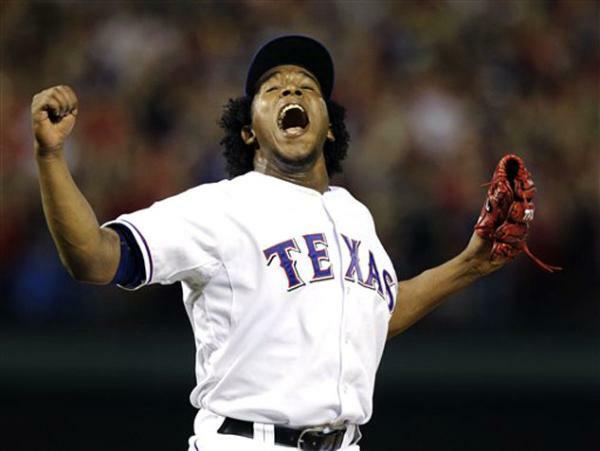 For the Rangers, their marketing slogan for the 2010 season was, “It’s Time.” A more prophetic baseball slogan was never made. Flash forward five years. Here at the All-Star break, the shell that remains of the Texas Rangers hobble into the break with baseball’s worst record. Where once I wrote of the exploits of Josh Hamilton, Michael Young, Adrian Beltre, Elvis Andrus, Nelson Cruz and even David Murphy, now all that remains is Beltre, Andrus, Rios, Choo and a bunch of young and/or underperforming offensive players. A pitching staff that once included Cliff Lee, CJ Wilson, Derek Holland, Matt Harrison, a younger Colby Lewis and one of the top relief corps in baseball is now composed of Yu Darvish at the front end, Joakim Soria at the back-end and very little of consequence in between. So bad the Rangers situation has become, they limp into the All-Star break losers of 19 of their last 22 games. Texas (and the Washington Senators that preceded them) has had some pretty bad teams in their 53 years of existence but NONE of them have been as bad as losing 19 of 22 games. Honestly, if I didn’t know it from reading the box scores every day (it’s become too painful to even watch more than a handful of games on TV), I wouldn’t believe it possible. After all, even without all the injured players, the Rangers still have talent on this team: Beltre, Andrus, Alex Rios, Shin Soo Choo, Leonys Martin, Darvish and Soria. There have been historically bad teams in baseball for whom you’d be hard-pressed to find even two names worthy of putting on the list of talented players. For example, can anyone name more than two Houston Astros from 2o12-2013 worth mentioning? Still, this is where the Rangers find themselves. Having a bad team does not make it harder to write about a team. Sometimes it can lead to more story ideas than a winning team provides. Among the thoughts I’ve had in recent weeks: spinning an old Paul Simon tune into a treatise on 50 Ways To Lose A Ballgame (“Give up a slam, Sam, Walk in a run, Son…”), wonderful words about the defensive work of catcher Robinson Chirinos, asking if should Jon Daniels get the blame for 2014 or is this a fluke season, talking about the newest Ranger to make his big-league début, Jake Smolinski, riffing on how great the Rangers farm system has been record-wise in 2014, opining whether Ron Washington should pay the price for the poor season, talking up minor league prospect Joey Gallo (who made headlines at the All-Star Futures game), scattershooting trade possibilities at the July deadline, etc. See? No shortage of ideas here. Instead, I’m going to borrow a phrase from that 2010 Rangers marketing campaign. It’s Time. 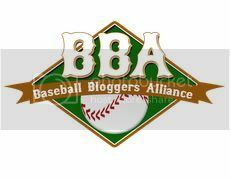 Time to retire the blog that I’ve devoted so much time to for the past five seasons. It isn’t because the Rangers are losing now. It’s because coming up with 500+ words to say on a regular enough basis to keep readers coming back is getting more and more difficult to do. Life has a way of throwing things in the way of the things you like to do in your spare time and my spare time has had an “S” added to it: spare has become sparse. I’m in the process of relocating to a different part of the state (and job hunting is part of that process). The desire to write about the Rangers hasn’t abated. The time to do it has. So, rather than put out a piece once every two or three weeks, I’m just going to shut it down for the rest of the season. 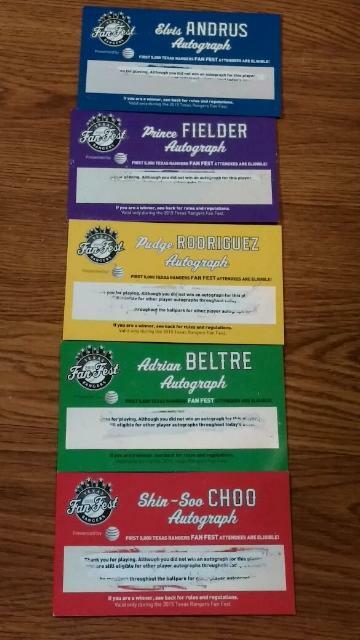 Maybe I’ll have more time to devote to Rangers writing in 2015. My devotion to the team will not change, only the writing about it. You can still find me on Twitter (@Rangersblogger) where I’ll send out in-game comments when I can. This space, however, is going dark for the foreseeable future. 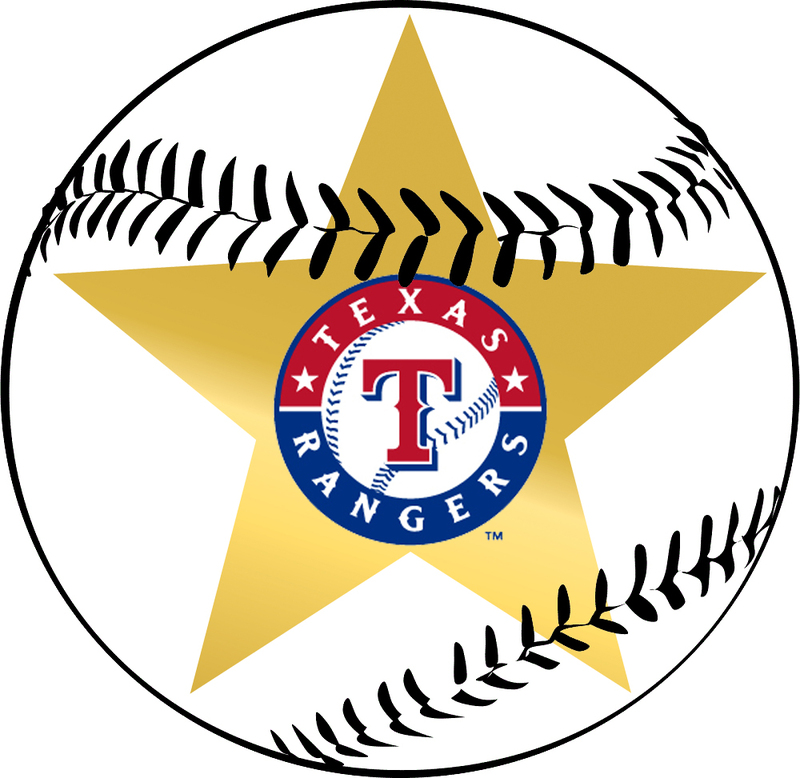 I thank everyone who has been a regular reader of this space, including The Angels Ace and This Is A Very Simple Game; The Wrigley Regular; all the Rangers fans who have followed me; and especially my son Erik, who has shared in my love for the Texas Rangers since childhood and it remains a constant source of conversation between us. To you and all the others I haven’t mentioned (and never got a chance to know), I’m grateful you took the time to read my sometimes meandering prose. Post All-Star break will see the returns of Geovany Soto, Jim Adduci and Derek Holland. Hopefully that makes the season’s second half better than the first. 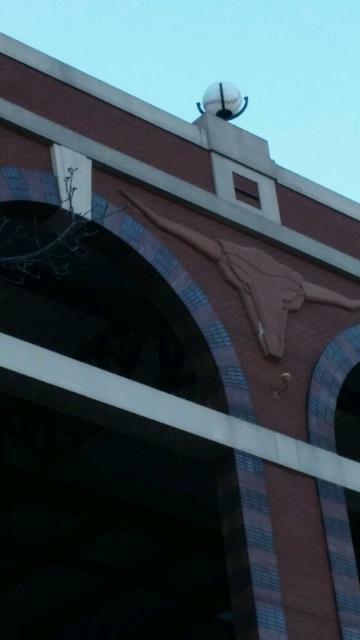 Whether it does or not, I still say: GO RANGERS!! !